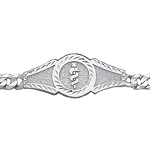 We offer a large selection of silver, yellow gold, white gold and titanium medical ID bracelets for our discriminating customers who like the finer things in life. 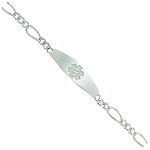 While precious metals have been used to make jewelry for centuries, now you can be both safe and stylish at the same time. 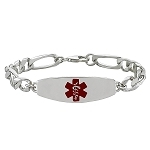 Engrave your important medical and contact information on the front and/or back, depending on the bracelet model you select. 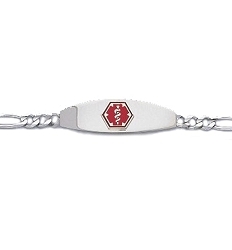 Choose a bracelet with a red enamel medical ID symbol or pick one with the symbol engraved into the bracelet for a more understated look. 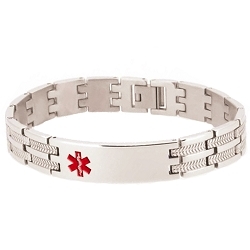 Either way you will feel confident wearing a classy piece of jewelry and have peace of mind that your medical information is readily available in an emergency.